Bronchitis is caused when the bronchial tubes are irritated, most often by a respiratory illness, such as a cold, or allergies or exposure to toxins. When the bronchial tubes are inflamed they swell, making it difficult to breathe, then fill with mucus which causes coughing spasms. Acute bronchitis is similar to a chest cold, but the cough can persist up to two weeks after the other symptoms fade away. If you are experiencing bronchitis symptoms it’s important that you get plenty of rest and stay hydrated. Cover your nose and mouth when you cough or sneeze and wash your hands frequently. You can also use over the counter medication to lower fever and reduce aches and pains to. If you are having trouble sleeping, try using a clean humidifier to alleviate bronchial irritation and make breathing easier. Visit FastMed Urgent Care in NC and AZ for bronchitis symptoms if you are unable to go to work or school or your symptoms persist for at least three days. FastMed medical professionals will review your case and decide on prescription cough medicines and even inhalers to open your airways. Hopefully this will reduce the amount of time it takes to get back to work or school. FastMed is open 365 days a year, accepts most major insurance plans and doesn’t require an appointment. We’re available when you need us any time you or your family gets sick. 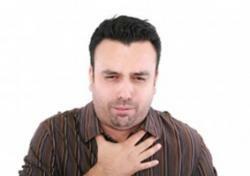 Chronic bronchitis is a serious condition defined by repeated incidents of bronchial irritation, usually the result of long- term respiratory illness or exposure to toxins like tobacco smoke. If you experience repeated bouts of bronchitis – up to a three month duration – it is important to discuss this with your medical professional at FastMed. Chronic bronchitis can lead to emphysema or chronic obstructive pulmonary disease (COPD), the fourth leading cause of death in the United States.